Thanks to a local event coordinator, three of my closest friends and I were able to attend an early screening of #AntmanAndTheWasp as #IMAXVIP no less. I must say, it was the most entertaining movie going experience of the year, for me at least. 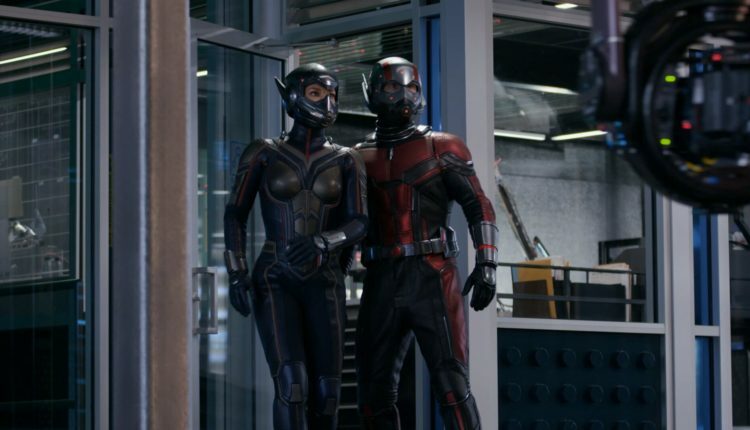 Ant-Man & The Wasp will easily find its way to most MCU fans’ Top Five List. The movie starts off strong as we hear Hank Pym recounting the story of how Janet Van Dyne, the original Wasp, sacrificed herself, like a true hero. We also see the same scene from Ant-Man only this time with “No Spoilers” it was really beautifully composed. The entire sequence is really heartfelt and establishes the tone of the movie. 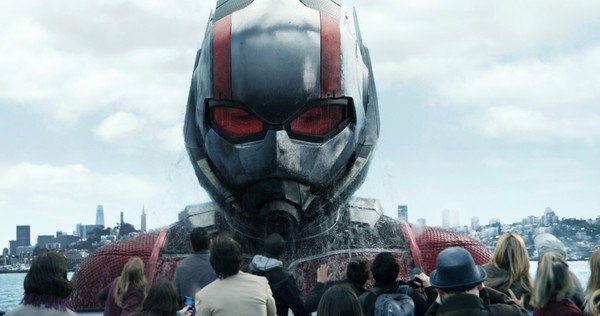 We then start catching up with the rest of the stars of Ant-Man & The Wasp, starting with Scott Lang. Since the events of Captain America: Civil War, Scott Lang has been under house arrest. We get to see him meet with his Federal Parole Officer, who is just absolutely brilliant. We also learn that Scott has dedicated the two years he has been under house arrest, to self-improvement, in a manner of speaking. He developed quite an intricate daily routine, which includes; coordination training, exercise, meditation, creative thinking, arts & crafts, as well as a slew of new hobbies; hobbies which he uses to entertain his daughter Cassie when she visits. If you would allow me I would like to take a small break from the review. Scott Lang is the “Best Grandmother” in the entirety of the MCU. Followed by Yondu Udonta in second, and Hank Pym in third. That being said, had Ant-Man & The Wasp been released for Father’s Day, it would have been perfect. This is a fantastic family film. It really is truly magical. Back to the review and Scott Lang. During one of his meditation sessions, he has a vision of “No Spoilers” which leads him to call Hank Pym and Hope. Who are now fugitives of the law. 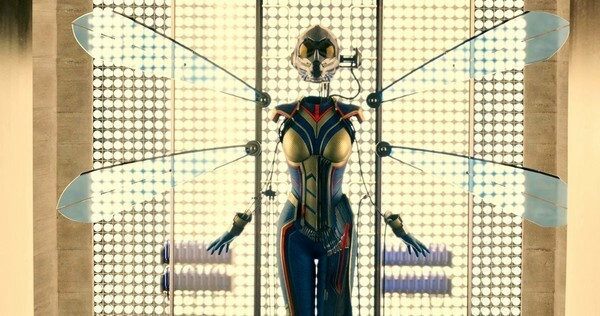 Since Scott used Pym Tech to help Captain America. Hank Pym and Hope were also found guilty of violating ‘The Accords’, and have been fugitives of the law, ever since. Scott believes his efforts were a waste, but we soon find out that they were not. We then get a very funny scene which directly leads to Scott and Hope being reunited. This is where the movie really takes off. This all happens within the first ten minutes or so of the movie. The rest of the movie is really just a total blast, which being that as of the time this review is being published, the movie has yet to be released, I will not go into. But I will say. Ant-Man & The Wasp is a nearly perfect movie. The pacing was excellent and consistent. The action sequences were beautifully choreographed and it was all shot extremely well. Each of the cast members gives a really strong performance. My favorite of which were Abby Ryder Fortson who played Cassie Lang. She is just so cute, and also Hannah John-Kamen who played the character ‘Ghost’. She is amazing! My friends and I don’t normally see movies in 3D, but we were all very happy that we got to see this movie in 3D. The scenes of “No Spoilers” were really accentuated by the 3D, as were a lot of the action sequences. It was subtle but effective and is the definitely the way that I recommend watching this movie, if you can. I really want to see this again. Once it is out I may do a spoilers review with more information, and share more of my thoughts on the movie. Like the things that I think could have been done a little better and what I hope the next movie will be like. RATING: So yeah, totally go out and watch this movie once it is out. You will have a great, great time at Ant-Man & the Wasp! Cast: Paul Rudd, Evangeline Lilly, Michael Douglas, Michael Peña. PG-13 for some sci-fi action violence. I'm a 35 year-old Cuban who works in Hialeah, FL. I'm really into comic books and comic book culture and I have a particular fondness for independent comics. Which is why I started the Indie Comics Showcase. Follow me on Twitter @indie_comics! Story Spotlight: Spider-Man/Kingpin: To The Death! PREVIOUS POST Previous post: Spoiler Alert! DC Blew Up Batman & Wrecked Retailers’ Revenues!